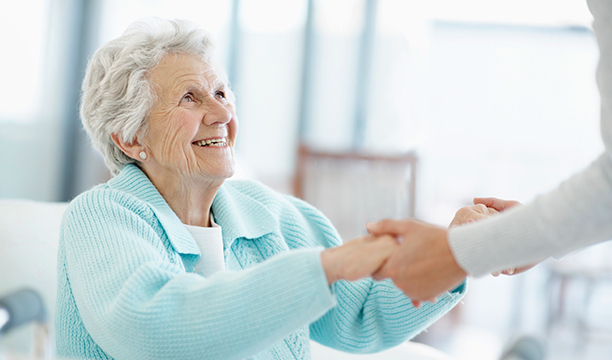 When it comes to selecting a skilled nursing facility, we understand how important it is to help each of our patients retain their highest level of independence. More importantly, we are committed to providing a level of quality care that transcends to a better quality of life. 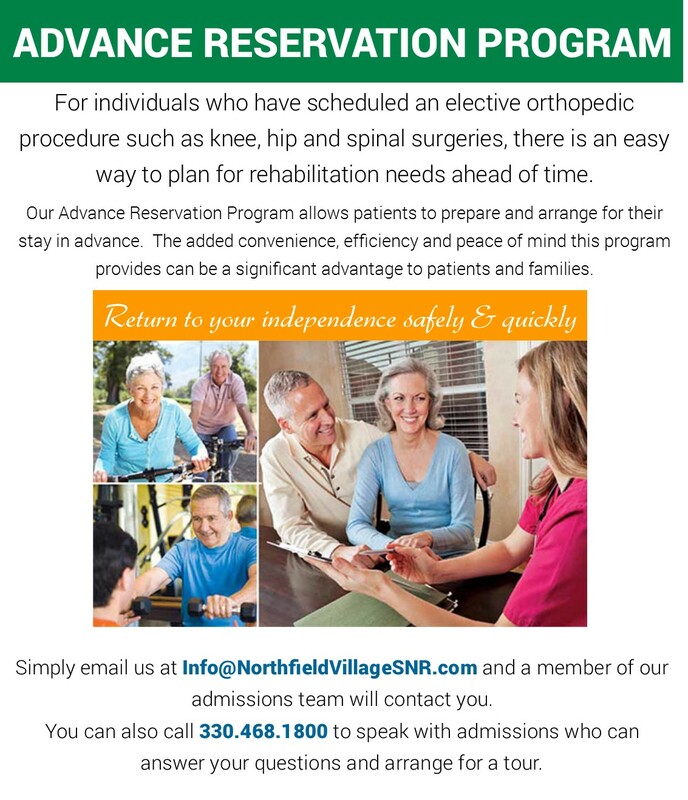 Whether your stay with us is the result of an unexpected injury or illness, or is the result of advancing age, Northfield Village is prepared to assist you during this transition to care. By working with your physician, family and caregivers, we can establish a plan of care that begins the first day of your recovery process. For at-home caregivers who need a reprieve from the daily responsibilities of caring for a loved one, Northfield Village provides a temporary-stay respite program. 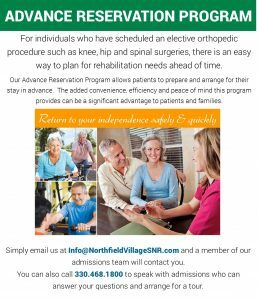 The Advance Reservation Program at Northfield Village Skilled Nursing & Rehabilitation is a convenient solution to pre-arrange rehabilitation, nursing, and other support services. This will ensure your admission into our facility after a scheduled surgery. We would like to invite you to tour our facility prior to your surgery to experience everything that Northfield Village has to offer. Please contact Admissions for more information or fill out the Contact Us Form.